James “Jim” Brown Miller, aka: “Deacon” Miller, “Killer Miller (1861-1909) – One of the worst of the many violent men of the Old West, James B. Miller was seemingly one of those “bad seeds” from an early age. Often impeccably dressed with good manners, he didn’t smoke or drink and often attended church, earning him the nickname “Deacon Miller.” But, he was a wolf in sheep’s clothing. Miller was born on October 25, 1861 (some sources list October 24, 1866) in Van Buren, Arkansas to Jacob and Chynthia Basham Miller. When he was just a year old, he and his family moved to Texas in 1862. Jim’s father, Jacob, who was a stonemason, helped build the first capitol building in Austin, Texas. However, somewhere along the line Jacob died as his mother was listed as a widow in census reports. When the boy was just eight, some accounts said that he killed his own grandparents. However, this has never proven to be true. 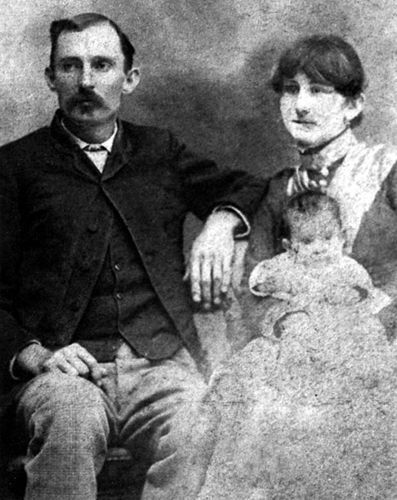 By 1880, he was documented as living with his widowed mother and siblings in Coryell County. Four years later, his sister Georgia was married to man named John Coop — a man that Jim Miller detested. On July 30, 1884, John Coop was killed by a shotgun blast while he was in bed at his home about eight miles northwest of Gatesville, Texas, also in Coryell County. It was well known that Jim did not like his brother-in-law and he was soon arrested for the murder. He was tried, convicted and sentenced to life in prison. However, his attorneys took the case to the the Texas Court of Appeals, where the conviction was reversed on a technicality. 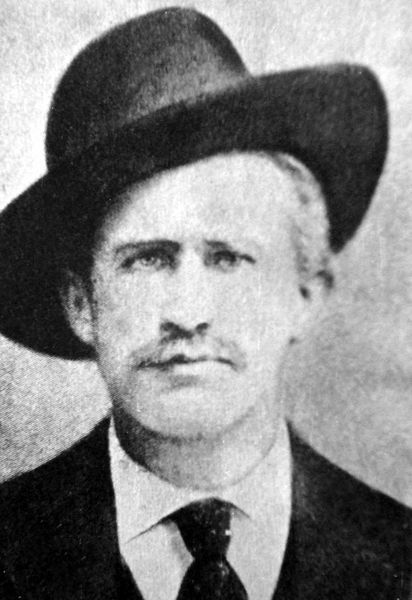 Afterwards, Miller hooked up with an outlaw gang in San Saba County, Texas, robbing trains and stagecoaches, and often killing in the process. He also purchased a one half interest in a saloon in San Saba. It was at that time that he also embarked on a career as an assassin, casually proclaiming that he would murder anyone for money (accounts of his price vary between $150 and $2,000.) In his new-found career he would eventually earn a reputation for getting the job done quickly and efficiently, usually by means of a shotgun ambush at night. 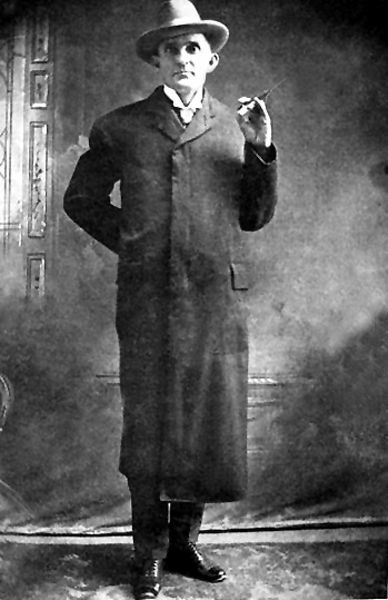 In appearance, Miller was a mild-mannered man, never cursed, didn’t drink or smoke, and was very well dressed, wearing a white shirt with a stiff collar, a stick pen on his lapel, a diamond ring, and always wearing a heavy frock coat, regardless of how hot it might be. Despite his occupation, he was often known to attend church and read the bible. He was not a fast draw gunfighter like so many other men of the west, but, was quick to use a gun when it suited him. In addition to killing for hire, he was also known to have killed several men in saloons when arguments would erupt over poker games. By 1891, Miller was in Pecos, Texas where he was soon hired on by Reeves County Sheriff, George A. “Bud” Frazer. The 27 year-old Frazer, who had been sheriff for less than a year, was badly in need of a deputy in the frontier town and asked few questions of Miller. In those days, it was considered rude to ask too many questions of one’s past. It would be a fatal mistake for Frazer. Miller soon moved his family, along with brother-in-law, Mannie Clements, to Pecos, where the family attended church, and by all appearances, were an upstanding group. At about the same time, cattle rustling and horse theft increased up and down the Pecos Valley and Miller spent much of his time in pursuit of the thieves. But, when he never captured any, it raised suspicions in the mind of local gunfighter and hard-case, Barney Riggs, who just happened to be Bud Frazer’s brother-in-law. As the increase in thefts had started to occur at just about the same time as Miller became a deputy, Riggs pointed out that perhaps Miller should be looked at as a suspect and suggested the Miller be fired. When Frazer confronted his deputy, Miller laughed off the accusation. Miller, who was supported by members of his church and with no proof of the allegations, was kept on by Frazer and continued his serve as a deputy. However, when Miller killed a Mexican prisoner who was “trying to escape,” Frazer began to investigate. Barney Riggs alleged that Miller had murdered the man because he knew where the deputy had hidden a pair of stolen mules. When Frazer found that Riggs was correct and located the stolen mules, he immediately fired Miller. This would be the beginning of the deadly Frazer-Miller feud, which would last for the next several years. In May, 1893, Sheriff Frazer was away on business and Miller’s criminal element virtually took over the town. In the meantime, Miller and his henchmen were also hatching a plan to assassinate upon his return. The plan was to stage a shoot-out on the railroad station platform when the sheriff returned. Nearby, would be a third man who would shoot Frazer, making it appear as if he had been killed by a stray bullet. However, when a man named Con Gibson overheard the plan while in a local saloon, he contacted Frazer to let him know about it. Frazer, in turn contacted the Texas Rangers, and when Frazer arrived, he was flanked by Texas Rangers. Captain John R. Hughes soon arrested Miller, Clements and Martin Hardin. The three were indicted on September 7, 1893 for conspiring to kill Frazer. The case was transferred to El Paso to be tried; however Con Gibson, the primary prosecution witness, fled to nearby Eddy (now Carlsbad,) New Mexico, where he was shot and killed by Miller henchman, John Denson. With their witness gone, the state was forced to release the three prisoners. Always heard some of our ancestors rode with JW Hardin but confused w Arch Clements and the James Gang out of Missouri. Guess I’m going to have to join Ancestry.com and find out. Jim Miller, likely got his idea of a bullet proof vest, from news paper articles out of Australia featuring Ned Kelly & his gang. Who at that time had the largest posted reward of apprehension “Dead or Alive” for any outlaw in the world. The Kelly’s famously wore suits of armour in a shoot out with the Victorian Police at Glenrowan in 1880.